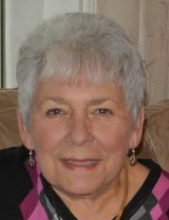 Her Legacy… Sue Ann (Ockerman) Colliau, age 73, passed away April 2, 2019. She was born on August 8, 1945 in Detroit, Michigan to Nelson and Dorothy (Wesley) Ockerman. Sue married the love of her life, Joel Colliau, on January 12, 1963 in Detroit, Michigan. They celebrated their golden anniversary January 2013. Together they raised two children. Sue enjoyed cooking, golfing, reading and traveling to the Caribbean. She loved living on the lake and watching different animals and birds. Most importantly, she adored her family and enjoyed spending time with them. Her Family… Sue will be missed by her children, Michael (Melissa) Colliau, Natalie (Robert) Mazzola; grandchildren, Jonathon Mazzola, Nicole Mazzola, Nolan O’Keefe, Tierney O’Keefe; niece, Brenda (Brian) Skene, nephews, Mark (Liz) Johnson, Craig (Wendy) Johnson. She is preceded in death by her husband, Joel Colliau; parents, Nelson and Dorothy Ockmerman, sister; Joan Johnson. Her Farewell… Sue’s family and friends will gather from 4-8PM, Thursday, April 4, 2019 at Borek Jennings Funeral Home, Hamburg Chapel. Her Community Farewell will be held at 11AM (10AM Gather) on Friday, April 5, 2019 at Borek Jennings Funeral Home, Hamburg Chapel. Memorial contributions are suggested to Angela Hospice in Livonia. Please leave a message of comfort for Sue’s family at 1-877-231-7900, or sign her guestbook at www.borekjennings.com. To send flowers or a remembrance gift to the family of Sue Ann Colliau, please visit our Tribute Store. Family and friends will gather from 10AM until the time of service. "Email Address" would like to share the life celebration of Sue Ann Colliau. Click on the "link" to go to share a favorite memory or leave a condolence message for the family.